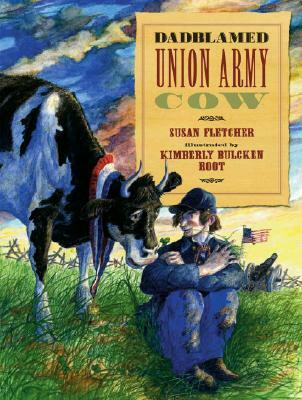 She just won t git A Union army soldier can t shake his dadblamed cow in this uplifting tale based on a true story. "THAT DADBLAMED COW " She follows her owner into the Union army and then straight on south to fight in the war. She needs unstomped grass to eat, she gets stuck in the mud, and she s just plain DANGEROUS in battle. But this peculiar cow also gives the weary soldiers some surprising comforts. Based on stories and newspaper reports from the Civil War and full of lively illustrations, this is a heartwarming tale of one wonderfully dadblamed PERSISTENT cow."